Do joyous vet accept chinchillas ? many vets only accept cats , dogs , hamsters etc. but not chinchillas . 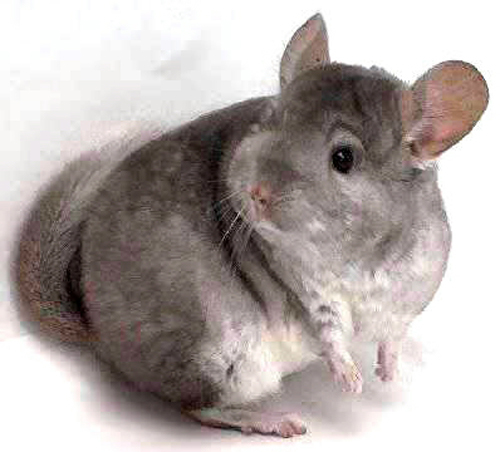 i'm having a hard time finding a vet for my poor chinchilla , so i decided to go joyous vets but i'm not sure they accept chinchillas . Recently, my chinchilla has been acting weirdly. whenever she walks, she always raises her legs higher than usual. Sometimes, she even raise her leg so high that her whole body flips! one time, she fell down the stairs because of that. it seem to be so painful thats he did'nt care whether she flip 360 degrees! I can't bear to see my poor chinchilla like this. I really want to bring her to a vet for consultation. now , i'm just waiting for an answer, whether joyous vet accepts chinchillas. I'm worried that they don't take chinchillas , because most of the vets rejects her. Dr Grace Heng is also a Rabbit-Savvy vet recommended by House Rabbit Society Singapore. There are not many vets in Singapore who knows about rabbits and Dr Heng is one such great doc for bunnies! Every time I visit her, I see a few other rabbit-owners who were there. Her charges are also quite reasonable and slots are not difficult to get as long you give 1-3 days notice. If you have to walk-in, good to be the first in line, they'll definitely see you before the first appointment. I tried a few times and I m grateful that I don’t have to wait for a long time. The staff there are courteous and takes time to explain the medication to you. It's great to find a good vet especially when the pet isn't as popular as dogs or cats. I had a lot of trouble finding a vet for my lovebirds! I heard too but how much does it cost to sterilise a female cat? I heard from my friend that they really did a warmly great job.. Forgot to ask about the costs though. I'm strerilising my female cat. I can't sleep for 2 days straight now due to her meowing and purring and stuff... And it's so loud. My mom says I need to sterilise her cos she is starting to find mate! Please help. As I enquire on all costs was too high around $100. Hence TJV is near to my place, this is what I'm looking for!